There’s such a choice in colour combos with Callistemons, you could have a garden full of them and fill every niche. 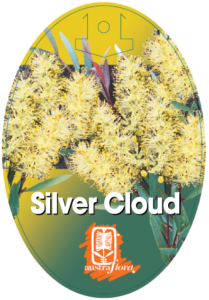 Silver Cloud fills the bill for a medium height screen to perfection. If you want a hedge, it’s tailor-made ~ just an occasional clip once flowering is finished will keep the foliage neat and close. Bundles of sweetly perfumed yellow brushes cover the foliage in spring. Following a trim, the silver new growth flourishes over the next few months, with a further flush of soft velvety tips announcing spring is on its way again. 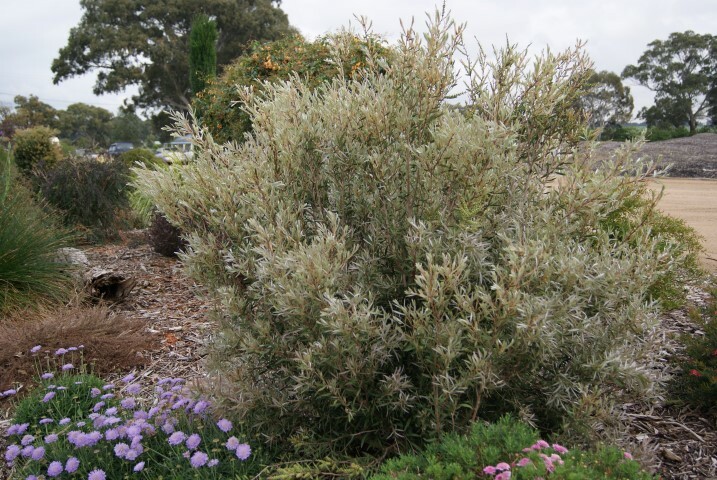 Extremely frost hardy, it will also be happy near the coast; a cool to warm climate, full sun or light shade, and moist to dry soils (neutral to acid pH) are all it needs to thrive. And like all bottlebrushes, it hangs out a Welcome sign to the honeyeaters.